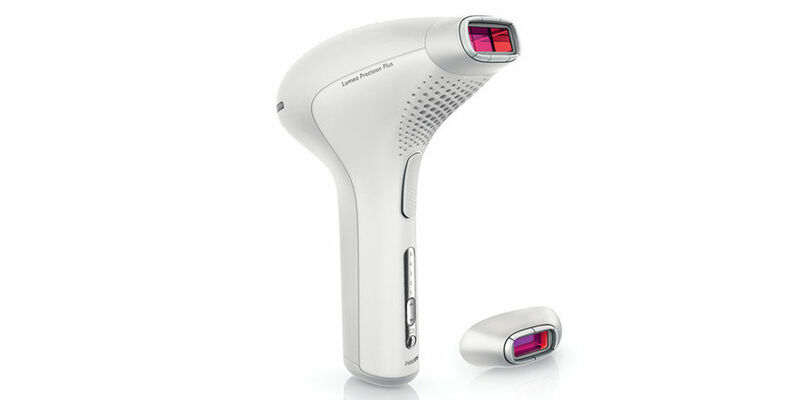 I don't know if I have shared this before but I have strongly been considering IPL (Intense Pulsed Light) Hair Removal for a long time. I have many reasons for why I haven't done it yet, and honestly the strongest for me is pure embarrassment. Hair removal isn't as openly discussed as it should be, in my opinion. It's just an unspoken rule that somehow all girls are magically hairless and no one likes to talk about it. When it comes to hair removal, we all know the drawbacks of doing it ourselves. For me, I use a razor at home which produces short-term results and tends to leave me with several cuts. The hair quickly grows back and itches like crazy. I have tried waxing at too, I purchased some ready-to-use wax strips that you heat between your hands with friction. Total disaster. I had wax stuck to my leg that I had to vigorously scrub off for 2 hours in the shower. Last but not least, I have tried various forms of hair removal cream which are time-consuming and can smell quite off-putting. 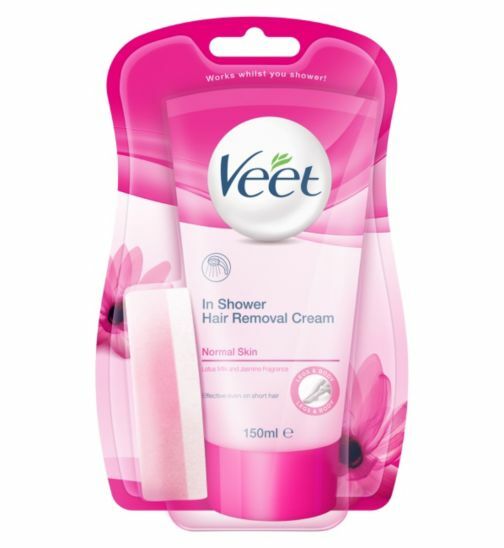 I have tried Nair (£6.19) which works well for small areas and can sting quite a bit, I used Veet In-Shower Hair Removal cream (£6.50) on my legs which was great except I had to leave it on for over 45 minutes for it to actually work. I hope this post is helpful for anyone who hates the hair removal process as much as me. Shaving - to cover a large area, a razor blade is used to shave hair from the skin. Unfortunately, hair grows back quickly. It requires daily shaving to maintain the look. I always end up with cuts and scrapes, it looks like I got into a brawl with a particularly long-clawed cat. Personally, I like to use something viscous and conditioning to shave my legs as shower gel doesn't provide enough of a barrier. I like to use hair conditioners, body butters or even baby oil mixed with a shower gel to shave. 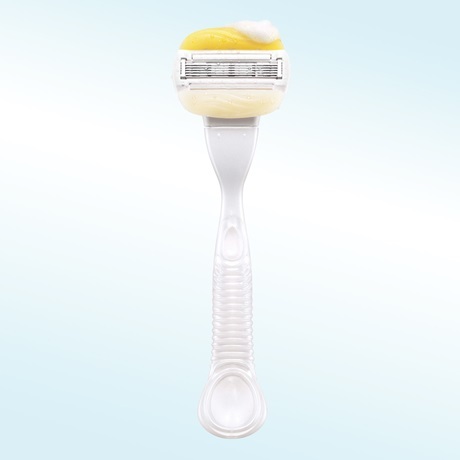 Leaves your skin extra smooth and moisturised too and I highly recommend razors with gel bars/comfort bars that help them to glide easier on the skin. Depilatory creams - This method applies an ointment to an area such as the upper lip, which is left on for several minutes. It is then scraped off. It isn't unusual for the skin to blister afterwards. One time, I left it on for just one extra minute and my skin was flaming red for hours. For this reason, don't do this before an important event. I always use such creams in the evening and then my skin has the whole night to recover just in case something does go wrong. I really like the Veet cream, I mentioned earlier, it is good, doesn't smell as bad as Nair and just washes off in the shower. The effects of that cream lasted over a week for me, but it is fiddly to apply (it comes with a sponge) and again it took almost an hour for it to actual remove any hair not 10 minutes as stated in the directions. Wax strips - For small patches of skin, cold wax strips are applied, then torn off. Painful at best, this method is not entirely effective as the cold wax does not grab all the thicker hairs on the first application. You may need to follow up with tweezing. My friend uses hot wax and it works really well for her, I think it is a case of trial and error. I definitely would suggest hot wax over cold wax because it is very difficult to remove cold wax from the skin. Trust me. It hurts like hell and the panic that you will have wax forever on your body is so real. Hot wax - By first applying hot wax to the skin, strips of cloth are then pressed on top of the wax, then pulled off abruptly to yank the hairs from the skin. This method is both painful and risky, but effective and popular. I know my Mum used this method religiously when she was married and now she has barely any hair on her legs at all. The continuous damage to the hair follicle with this method does effect the rate of re-growth but it will take years, decades even, to see this result. Tweezing - Using tweezers to pull individual hairs from the body is best reserved for the eyebrows. It is not an effective way to remove hair for larger areas and it hurts a lot. I get my eyebrows waxed because it is quicker and less painful for me and then she cleans them up with threading and tweezers if appropriate. Threading - Another method best reserved for facial hair, usually the eyebrows and upper lip, threading is a technique where stray hairs are removed through the twisting of a cotton thread. It is an amazing skill but being on the receiving end can be quite painful. It all depends on personal preference, I prefer waxing for my eyebrows as it takes longer for them to grow back but others prefer threading as it can give a better shape. When I used to get my eyebrows threaded, the area would be red for a long time and I would get tiny white spots all over the area. In a day or two it would completely clear up, but with waxing it takes less time for my brows to recover. Home methods leave many things to chance. An old, dull razor blade can cut the skin and cause infections (my life). Wax removal can cause both second and third degree burns. Fortunately, this has never happened to me and I do believe is rare but nevertheless it is important to be aware of the dangers and act cautiously when using such methods. Depilatory creams can cause allergic reactions or chemical burns on the skin's surface, therefore it is imperative to do a patch test first! If using these methods then it is crucial to take extra precautions where possible to avoid any unpleasant situations. Professional laser treatments are performed by specially trained technicians. They know what injuries can occur if they are not careful and they take extra steps to prevent them. By using the correct settings for each individual, they provide personalised treatments according to each client's needs. While you might find laser hair removal machines* on the internet, it is important to ensure you are using them correctly. Ask a professional for advice if needed. Doing your research is an important factor too, I don't think all professionals can be trusted but this is my personal opinion. Comparing, reading reviews and finding out about the types of lasers can be beneficial in ensuring that your money is spent wisely and that you are getting the treatment you deserve. After all, you are paying for a service and you want to see results. If you feel like you're not seeing any progress, don't hesitate to look into other options, other practitioners. The major USP of Lasers and IPL devices are the length of time between sessions. My sister has been seeing a professional for over a year now and she goes once every two months. While it may take quite a few sessions to catch all the hair (for Indian girls like myself usually up to 8), you can be free of unwanted hair for long periods of time. What hair does grow back will be finer and much easier to manage, which is definitely what appeals to me. I want to link a video below from Kaushal Beauty who discussed her Laser Hair Removal experience in detail. I found it to be very informative and this gave me the push to strongly consider whether it would be worth it in the long term for me or not. I have heard mixed things about laser hair removal, on a podcast (Fat Mascara) a dermatologist said that the use of a laser on skin effects the body's ability to produce collagen having a detrimental effect to the elasticity in the skin. I haven't heard this anywhere else, but she seemed to know her stuff. Spending about an hour or three, depending on what areas, at a cosmetic clinic for a hair removal treatment, may seem like a lot of time. When you consider it only occurs once a month or so, that's not a lot of time. Think about how often you shave at home or use wax treatments and total that over a week, a month, or a year. The amount of time spent can be staggering. 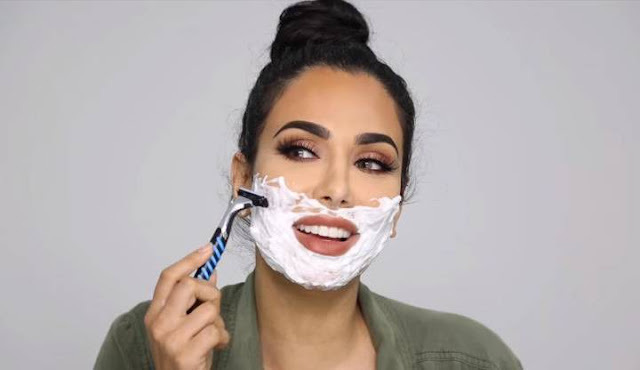 While it is more expensive to get a professional treatment, you need to also factor in how much your time is worth and how much money you spend on razors, waxing etc. I know I constantly splurge on razors because the ones with gel bars cost more and they feel so much better. If you can't tell. I am most likely going to do IPL after doing some more research. I am just waiting for a more secure time in my life to take the plunge where I know I can be consistent with it, as consistency breeds results. I would love to know your thoughts and what methods of hair removal you prefer as well as what annoys you about it? Please leave your thoughts and answers in the comments as I would love to know about any funny stories you may have. Thank you so much for reading as always and please follow me on Bloglovin' if you would like to. It means a lot to me. This is a sponsored post and I was paid to include a link but all links to specific products are not sponsored or affiliated at all. I hope that is okay with you guys, let me know if you have any strong feelings about sponsoring as I value your opinion. This post was written by me and I hope you know I would never lie or sell something to you without giving you the facts I know. Hope you are having a wonderful week. Take care. What hair removal methods have you tried? I have heard of hair removal, with laser and shaving, but as I my hair is reddish, on the body I have blond hair, thin and never needed to remove. Even on my legs I barely have to shave, twice a month, but for friends that have dark hair, I will recommend laser and anyway, to read your post, because it is really good and informative! Hope you have a very lovely day! I've tried pretty much all the methods you mentioned except for threading, but I find myself most consistent with shaving because it's the easiest. I have wax and for the most part I like the results, I just hate having to set so much time aside to get it done, especially since I like doing it before my shower so I can clean up any remaining wax in the hot water. Laser treatment is definitely something I'd consider in the future, it's just a matter of money and I'd want to be consistent with it too. I hate having to deal with unwanted hair, why can't it be easier and simpler!! Great post! I use to use an epilator but honestly they aren't too travel friendly and I even bought I pricey one that broke after 3 years. I usually just stick to shaving now since it's the more convenient. I'd really love to try out laser hair removal though! Enjoyed reading this, I've always wanted to try laser hair removal! I used to shave, then switched to epilating and sugaring, went back to shaving some parts and treated myself to an at home IPl device last year. The jury is still out on that one, but I ak not convinced yet, despite being super consistant. My mum uses depilatory creams but I am a fan of hot wax, I find that is easier to use and the results last longer than any other method. Aww so cute, love it! I'm so glad to know that you've done so much research into laser hair removal, I personally researched into it and it seemed to have ticked my boxes (long term results, reduces hair growth, evens skin tone and affordable in the long run) however I found that speaking to the laser hair professionals helped even more, so maybe you could give it a go? They usually do a patch test which works a treat! I hope it works out for you girl! It's honestly helped me out so much, the only cons I can think of would be the constant exfoliation that needs to be done and the research! I've been doing it for over a year now and it's been great! thanks for sharing this! I would love to get laser treatment!